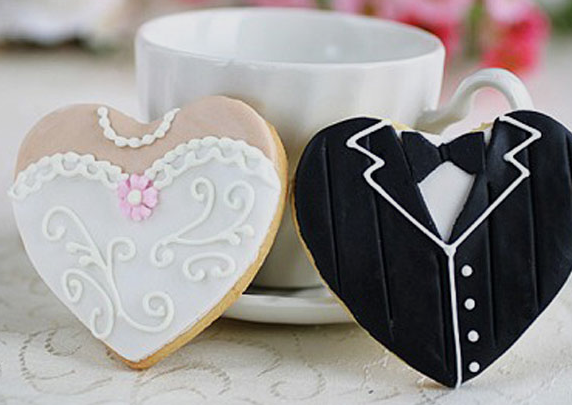 At Sugarbliss Cake Decorating Company we love creating cookies for all types of celebrations from weddings, birthdays to seasonal events. We have a large collection of cookie cutters in all shapes and sizes from brides and grooms, rockets, handbags to pumpkin and bats just perfect for celebrating Halloween. Simply follow our recipe and method below and start making lovely tasty cookies for all your special occasions. Preheat the oven to 170°C/ 338°F/ Gas Mark 3. Place flour, baking powder and caster sugar in a mixing bowl and then add butter and rub together with your finger tips, until the mixture resembles fine bread crumbs.Make a hollow in the centre and pour in the beaten egg, golden syrup and vanilla extract.Mix together well, until you have a ball of dough. Place the dough in cling film and place in the fridge for 30 minutes. Roll out the dough to 5mm thick and stamp out using a cookie cutter. Place on a greased baking sheet 5cm apart with enough room to expand slightly. Bake for 12-minutes until golden brown and firm. Remove from oven, allowing cookies to cool on a cooling rack. For icing, roll out fondant thinly and cut out shape with the same cookie cutter used for cookies. Use fondant wheel or knife to cut individual shapes e.g. for a butterfly cut two separate sections for the wings. Brush a thin coating of golden syrup on the wing part of the baked cookie and gently place the wing pieces on top. Use a modelling tool to create finer details if required e.g. veins on a leaf. Roll out a second colour of rolled fondant if required and follow steps above to create a professional finished cookie. Loving Everything To Do With Cookies! This entry was posted in cake decorating shop, cake decorating supplies, cookie cutters and tagged cake decorating shop, Cake decorating supplies, Wedding Cookies, wedding favours by Sugarbliss. Bookmark the permalink.